← BREAKING AM-2/MEN’S INTERMEDIATE NEWS!!! 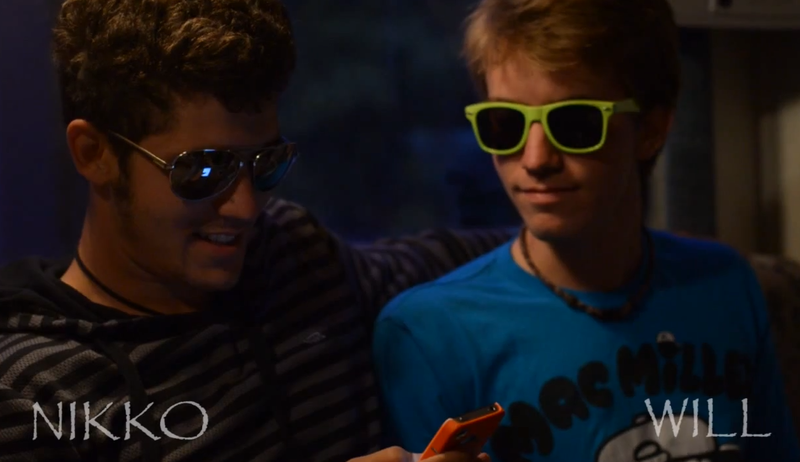 Nikko and Will filming a vlog using questions from viewers… wearing sunglasses. Missouri native Nikko Locastro took down the A-Tier St. Louis Open this weekend. While Nikko’s talent wasn’t in doubt, there was a slight question mark in the “health” category. Just two weeks ago he was unable to finish the SOKY Open in Kentucky. The only chatter I came across about his 999 score was a reference to some back pain. His scores midway through the tournament (49 and 49) were nothing to shake a stick at; so any conspiracy theories of dropping out due to poor play are baseless. Besides, people who’ve seen Locastro play knows how competitive he is, and the phrase “give up” is not a part of his vocabulary. In any case, he came back to his home turf for the St. Louis Open this weekend and took first place, beating out his 1035+ rated NSDG counterparts Leiviska and Schusterick (D. Feldberg was playing a different A-Tier in Huntsville, TX). After seeing Cale Leiviska win two consecutive tournaments earlier this spring, and then seeing Will Schusterick do the same, Nikko Locastro stepped up and grabbed the torch, so-to-speak. If this holds true to pattern, the Non-Stop-Disc-Golf crew should be watching Nikko win next weekend at the Charlie Vettiner Open (however we don’t see Nikko’s name on the reg. list) and next in line should be Dave Feldberg to win a pair of tournaments. Although, looking forward- the middle of May brings most, if not all, the top notch pros to Santa Cruz for the Steady Ed Masters Cup National Tour stop. It certainly isn’t a stretch to imagine a member of the NSDG crew winning the Master’s Cup, but their competition will be stiff. There are two Santa Cruz area natives still searching for their first big wins of 2012 in Avery Jenkins and Nate Doss, and they are anything but push-overs. This season of PDGA tournaments has been interesting with it’s good amount of roster-variety at the top level tournaments. There seems to be three to four clusters of 1020+ rated players dividing up around the US to play major A and B-tiers. As the year shakes out, time will tell which (if any) National Tour stops get the cold shoulder, and which top players decline the tough travel required to play every one. This entry was posted in Touring Pros and tagged 2012, disc, golf, locastro, louis, nikko, non, open, st, stop, tour. Bookmark the permalink.